Looking for an awesome kids craft to do with your kids this week?? 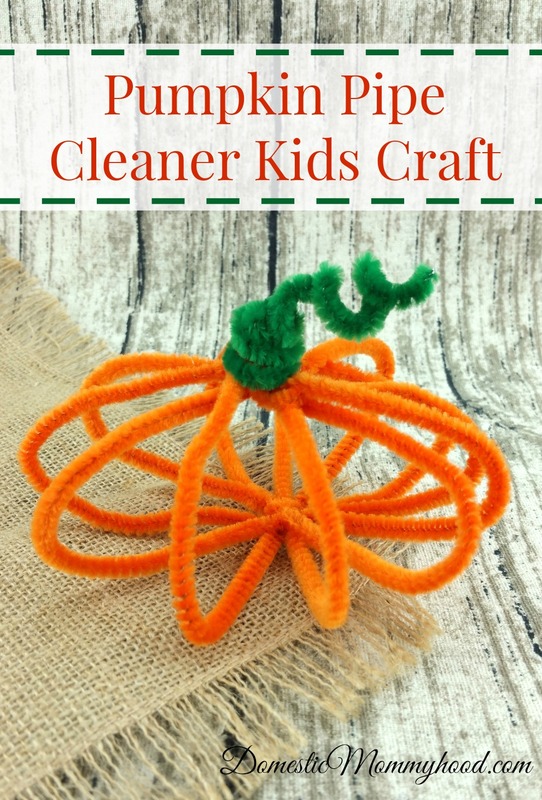 This awesome pumpkin pipe cleaner kids craft is super easy to do and would look great on your Thanksgiving table as a place setting name card holder. While you are here you may also want to check out…. Start with one orange pipe cleaner and make it into a circle and twist the two ends together. Then add in the other orange pipe cleaners one by one twisting the ends around the first one. When you get to the last orange one, loop it over the center bottom of all the others. Then bring the ends to the top and twist it around. You may need to bend and shape the pieces until they look the way you want. The last step is to add the green pipe cleaner. You just twist it around where all the orange ones are twisted together. Then curl it around your finger a few times. You can use the scissors to cut off any extra length you want or just leave it long. Scroll down just a bit farther for pictures to help you out just a little more! Such an easy kids craft to do on a fall day! What is your favorite kids craft that you and your family like to do on a fall day?